The 49ers just announced they have signed punter Justin Vogel to a one-year deal. Vogel, 26, was an undrafted free agent in 2017. 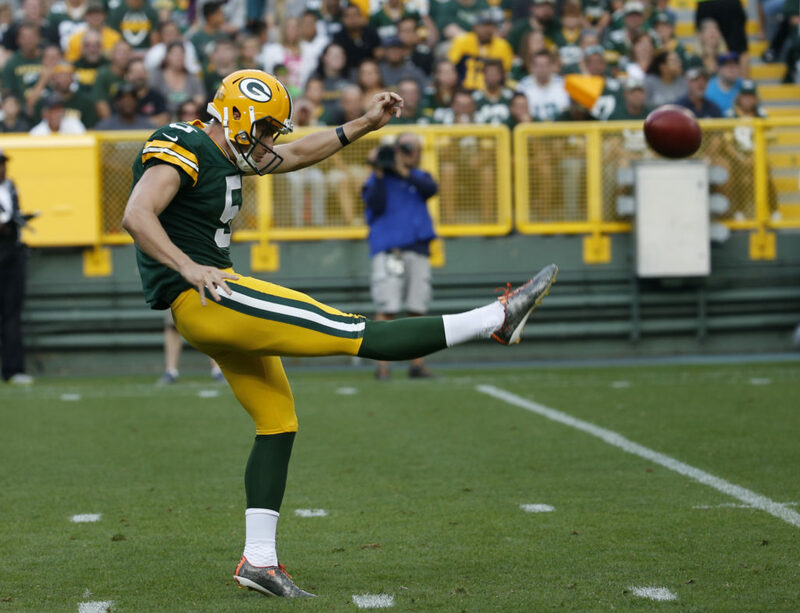 He appeared in 16 games with the Green Bay Packers as a rookie, punted 71 times and averaged 44.4 yards per punt. After the 2017 season, the Packers cut Vogel. He did not play for any team in 2018. Vogel went to the University of Miami, where he handled kickoff duties as a sophomore and a junior. He seems to have the skill set to replace Bradley Pinion, who signed with the Tampa Bay Buccaneers. Do you think Vogel will make the 49ers’ final roster? Why or why not? 19 punts downed inside the 20 yard line? 2018 Pro Bowl alternate? 7th in net punting average, the highest by a Packers punter since 1976, while at the same time his two touchbacks on the season were the fewest by a Green Bay punter with at least 70 punts? I see no reason to believe he will not make the roster as the 49ers starting punter. We will no longer be drafting one. The only bummer is he’s not left footed…. What I want to know is why with those stats and playing for a very good team was he out of football the last year. Injuries? Some other problem. He sounds like a very solid punter to me. Good signing. I still see them picking up an UDFA to compete. At least they’re not desperate now. I hope it’s a left footer. Agree. Good signing and need to worry about one less position going into the draft. OK signing; however, I believe the 9ers will bring in another (serious) punter to compete. Curious why Vogel didn’t catch on somewhere last season. If a few strong punters are available late in the draft, I wouldn’t be shocked if the 9ers take one. There’s always the UDFA route too. And, there are a couple decent punters in the AAF who will find themselves in camps this summer. Point is, good talent is available. As such, I’m thinking Vogel has a 50% chance of making the roster. They definitely want someone who kicks off. Good. Glad they did not waste a draft pick on a punter. Ya never know Sebbie….might wanna wait until after the draft to say that. They won’t use one of the 6 picks for a punter, even if they trade down. They’ll look at UDFA or AAF punters.